Looking for a SWGoH Guild? SWGoH 101: Which Characters First? While it is worthwhile to gear BB-8, Finn, and Scav Rey straight to G12 and add relevant zetas, JTR’s Hero’s Journey event can be completed through proper modding and strategy for each Phase. Phases 1 and 2 are straightforward and easy. Only Phase 1 can be done with 6*; all others will require 7*. Phases 3, 4, and 5 are the meat of the event. Phase 1 requires only 6* Scav Rey, Finn, and BB-8. Phase 2 requires 7* Finn, BB-8, Vet Han, and Vet Chewie. The largest concern in Phases 3, 4, and 5 is the FO Riot Control Stormtrooper. 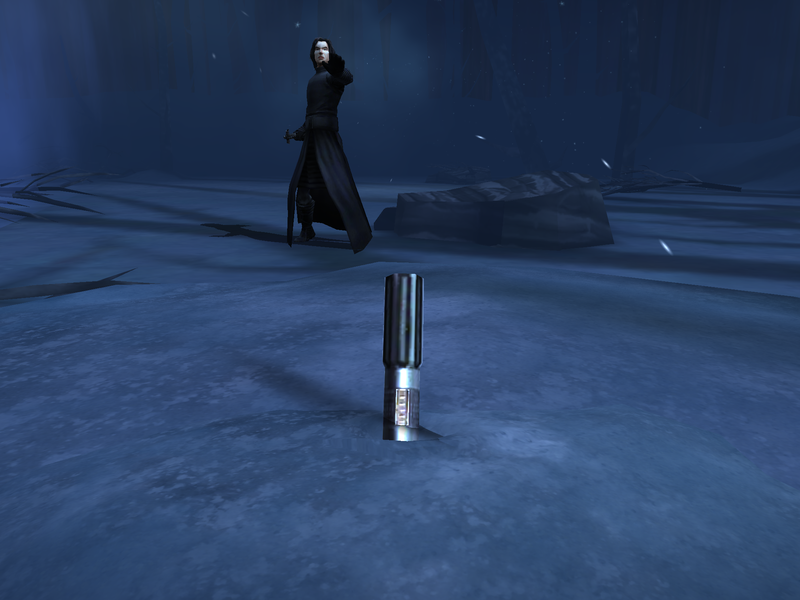 This character provides Bonus Protection to other First Order enemies and creates the biggest difficulty in the event. The key to the latter Phases is in taking down the taunting First Order Stormtroopers and then take out FO Riot Trooper as quickly as possible. Vet Chewie’s Furious Blow attack as often as possible to apply Speed Down on all enemies and Dispel and Stun the primary target. The last stage of Phase 3 is very difficult because the Speed on Phasma, FOSTs, and FO Riot are all very high. If your team isn’t modded fast or strong enough (high protection, health, and/or defense) to withstand a couple waves of their attacks, the Phase will be extremely difficult to pass. Enemy Speed is not as much a factor in Phase 4 as it is in Phase 3. That said, Phase 4 includes five different stages. Be sure to save/time your Special abilities so that all Special abilities are immediately available for the final stage. For Phase 5, the enemy Speed is difficult to match, so it is even more important to adjust mods. Vet Chewie’s survival is instrumental to passing through the phase. Phase 5 is where it would be most beneficial to have Vet Chewie at Gear 9. Phase 6 is mainly cinematic. As long as Finn and Rey are modded/geared well enough to get through the earlier Phases, the final Phases should be no issue. Phase 7 provides a specific Rey who may or may not be as strong as your own Rey, but either way, the Phase is entirely cinematic and cannot be lost. 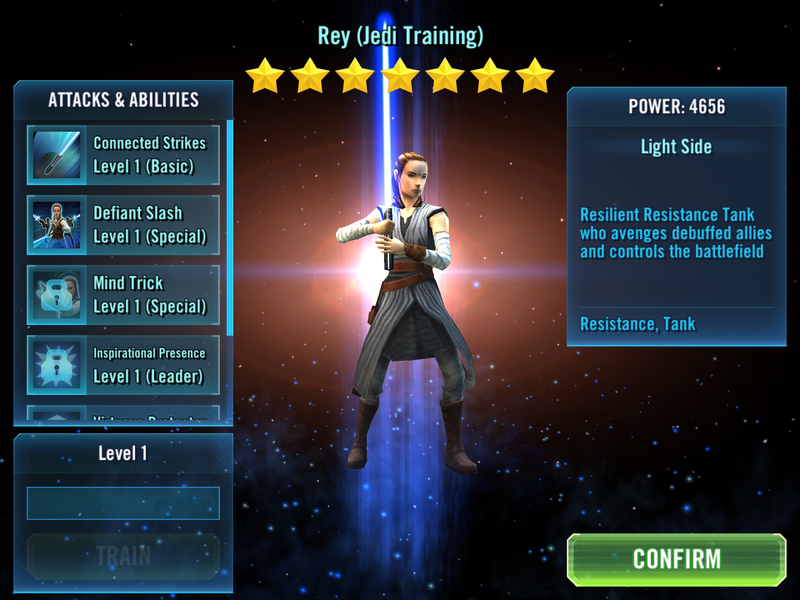 Phase 7 is simply about enjoying the end and acquiring Rey (Jedi Training).